All about your teacher Michelle Elliott, her qualifications and her passion for improving both the mind and body through pilates. Pilates for groups and one-to-one classes in a range of venues in Exeter (near Pinhoe, Monkerton, Countess Wear, Heavitree, Whipton), Exminster, Kennford, Bishopsteignton, Mid and East Devon area. Private pilates classes are also available. 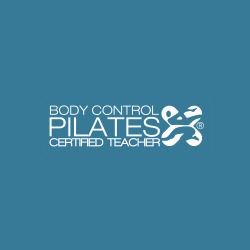 I'm a level 3 qualified (Body Control Pilates Association) pilates teacher and a Level 4 Low back pain advanced exercise instructor for low back pain. Reformer and studio equipment classes also available. If you wish to be updated of new pilates or healthy back classes, or you would like me to run a class in your local community, home or workplace then please get in touch. "In ten sessions, you'll feel the difference, in twenty you'll see the difference, and in thirty you'll have a new body." Michelle is a totally professional Pilates instructor. I feel very safe with her extensive knowledge and because she remembers the peculiarities of my body and checks out each exercise as we start or suggests something different to take account of this. Every class has been well thought out to help us get the most benefit out of exercises and to mix things up to keep things interesting and unexpected. My body is challenged every week by what we do - which is exactly what I was looking for. Overall, my whole body feels in better health! It has really helped with my recovery after an operation. Good, clear instructions, and feel great afterwards. I certainly feel the benefit from your class. I notice that when standing at the sink I now seem to stand a bit taller.